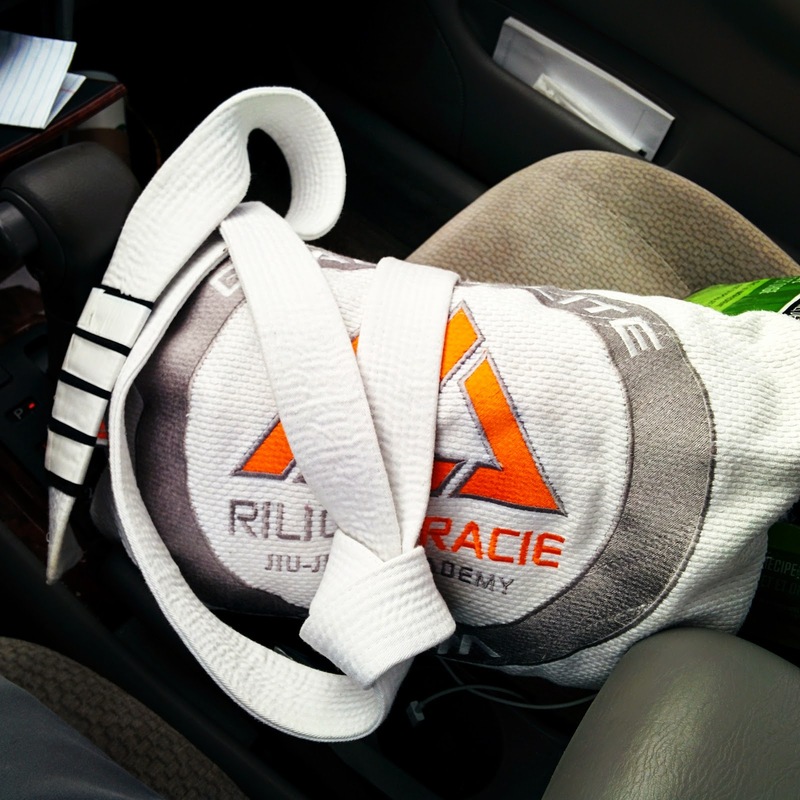 Are Your Shoulders Ready for Brazilian Jiu Jitsu? I have been keeping busy down here in Miami, Florida. I am about a quarter of the way through my first semester as a PhD student and I have been kept busy with teaching my first class (Introduction to Athletic and Sport Injuries) and by being a research assistant for my adviser as well. I have also had the opportunity to keep myself busy yet physically active by taking back up a long-lost but much loved hobby of mine: Brazilian Jiu Jitsu (BJJ). BJJ took a backseat for me after training regularly during my bachelor's degree. It stayed on the back burner as I worked on my master's degree but my schedule has normalized enough to allow me to resume training. My sports medicine breadth of knowledge has grown and advanced while my BJJ was placed on hold, and because of that I feel that I have a expanded view on the biomechanics of the sport that I didn't necessarily have previously. Specifically, I am going to touch briefly on a bit of injury prevention for anyone out there that may be into BJJ or for those of you that may treat people that participate in BJJ (actually this stuff applies to everybody not just BJJ guys). Nevertheless, this post is definitely geared more for the BJJ practitioner and not the clinicians out there...this may not even be new information for those who have visited this blog before. While I am not somebody that you should go to for submission or any BJJ advice for that matter...I feel that I can give some good insight to help you stay on the mats. Specifically, when I was training I often saw a lot of people struggle with shoulder injuries. In fact, traumatic shoulder dislocations and subluxations were more prevalent than one might assume. Perhaps one wouldn't be surprised considering this is a sport where people enjoy catching each other in joint locks and submission-holds that work by forcibly placing one another's joints at their respective end ranges of motion. So when it comes to a sport where we are already pushing the limits with our body (within reason) then we need to ensure that we are not already at risk of damaging ourselves or our training partners. 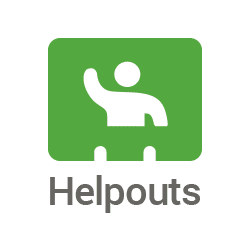 Having strong, mobile, and stable shoulders is just as important for your ability to submit as well as your ability to not get submitted. The status of your shoulders can also have repercussions up and down the kinetic chain. This is evident when a shoulder issue can manifest itself as a grip strength (I won't be touching on it in this post but proper grip strength can also play a huge role on proper shoulder stability) problem. Not to mention proper shoulder function, especially based upon the tests that I am about to show you, is entirely interdependent on proper function of the elbow joint, glenohumeral (shoulder) joint, the scapula (shoulder blade), the thoracic spine, and arguably the neck or cervical spine as well. You can bet this guy needs some help, even if he doesn't have symptoms...yet. 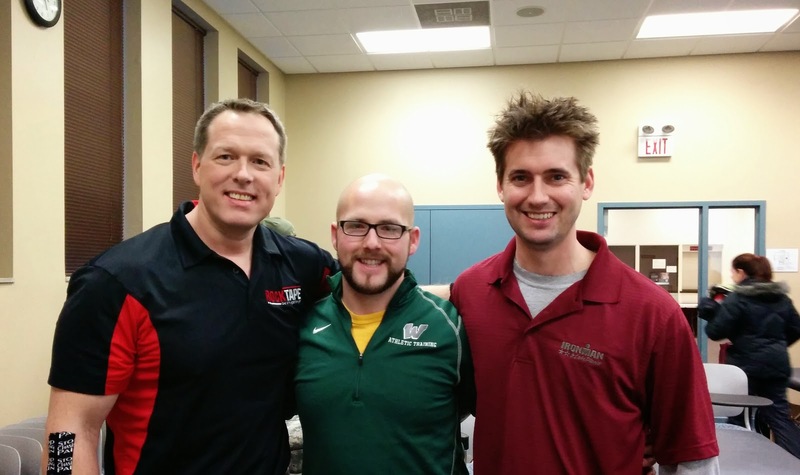 So what is a quick an easy way to check for potential shoulder dysfunction? 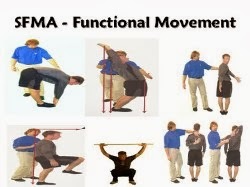 If you know me by now you know I am a fan of the Selective Functional Movement Assessment (SFMA) and think its a great way for everybody to look at movement despite the fact that we may all treat movement in many different ways. So that is where these tests originate! 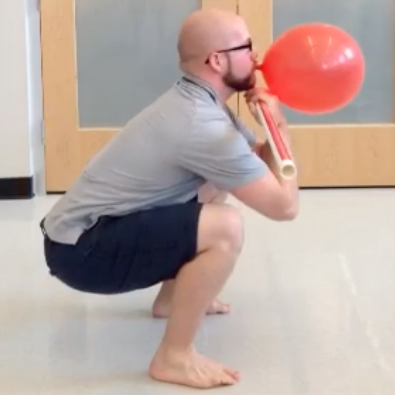 What does this shoulder position look like? 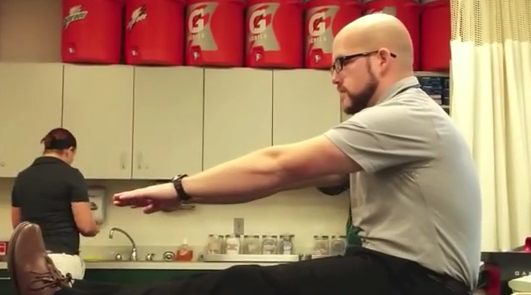 This test requires adequate motor control and mobility of many different segments including: Shoulder internal rotation, shoulder extension, and horizontal adduction of the shoulder. Additionally it requires elbow flexion and thoracic spine extension/rotation. Any issues found here indicate a potential stability and/or mobility problem. One must not assume that it is a mobility/flexibility issue that needs stretching or cranking on. Looks a lot like our test above...If you can't easily put your own arm here, how do you expect it to feel when does it for you? What is a passing test? The ability for the finger tips to reach the inferior angle of the contralateral scapula without excessive scapular winging of the moving arm, without excessive effort, no deviations in starting posture, and a symmetrical result when compared to the other side. A failing test would require a local biomechanical assessment and to break down of the components of the movement to search for the weakest link. This is a normal range of motion to be able to move through. Deficiency here can lead to increased strain, tension and shearing forces through your upper extremity and its soft tissues. For this test you need adequate shoulder external rotation, shoulder abduction, shoulder flexion, and elbow flexion on top of thoracic extension/rotation as well. 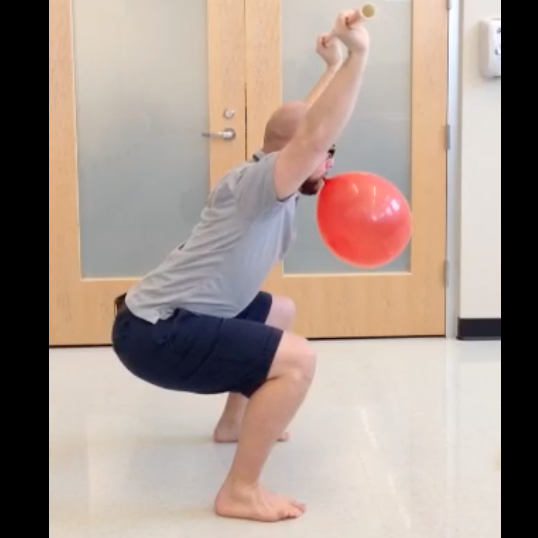 To pass this test you must be able to reach your fingers to your contralateral scapula. Where at on the scapula? The midpoint of the spine of your scapula is our targeted destination. However, you need to look for symmetry of movement from side to side, check out how much effort is required, and if there is any deviation of posture to achieve this position. 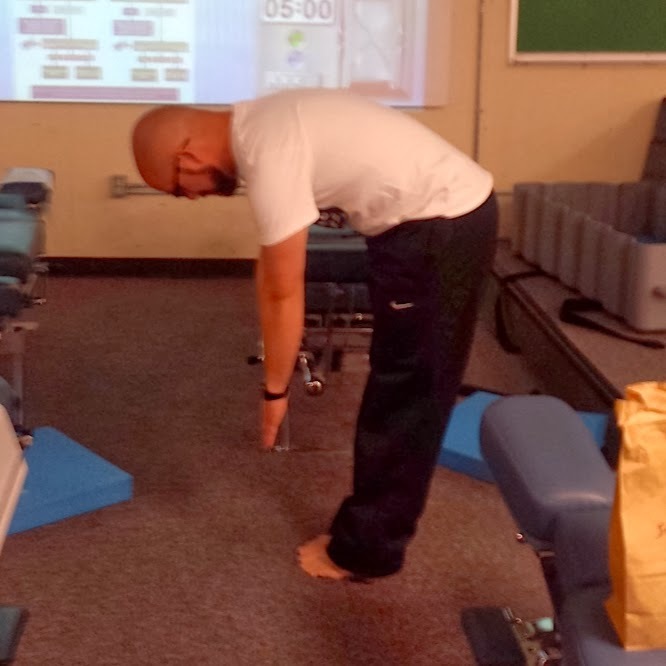 Additionally, a person is not allowed to "crawl" their hands up or down their back for either test. It has to be done with one smooth motion and without "warming" up. This is not the same as Upper Extremity Pattern #2 but it IS the same. Get it? If you want a quick and easy way of doing this if you are unsure of your anatomical landmarks just grab yourself a tape measure and assess the distance from your longest finger tip to the first wrist "crease" or wrinkle of your wrist just below your palm. Got that measurement? Okay well you want your hands to be within 1.5 times that measurement to be considered acceptable and don't forget to switch arms and check both ways. So what do you do if fail these tests? That is a debate for another day but you honestly need more information. However, if you want to use a trial-and-error method then all you need to do is try something out like flopping on a foam roller, lacrosse ball, or getting a massage and seeing if there is a difference afterwards. How will you know if there is a difference? Retest! Mobility may work may not fix this so don't assume that is what it is! It could just as easily be a motor control or stability issue. Here is a sample of what breaking down one of these tests looks like. 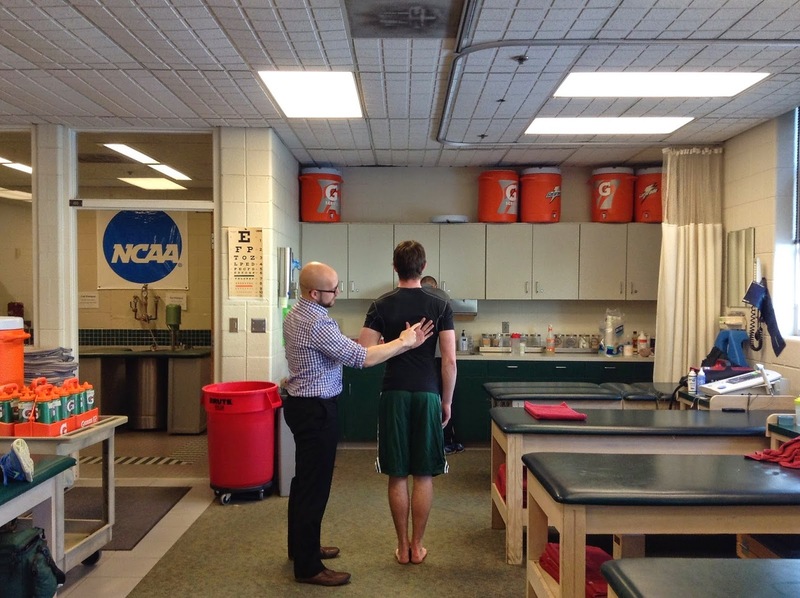 While these tests are far from all-inclusive or the be-all-end-all they are a great starting place to screen or assess for potential risk of injury. If you can do this it doesn't mean you won't injury your shoulder or that you are 100% good to go but if you can't I do know that you deviate from normal into abnormal. Abnormal or dysfunction in my book is the same as pathological and may lead to future injury down the road. Get to work on bullet-proofing your shoulders before it is too late and you are under the scalpel. Please Leave Your Poor Hamstrings Alone! "Tight Hamstrings, The Epidemic That Never Existed." Trying to touch my toes at my first SFMA seminar. This little nugget of knowledge developed during a conversation that my good friend Dr. E of The Manual Therapist and I were having together after his recent post. It is crazy how many times you will hear people mention how tight their "hammies" are or how often you can look at people exercising in public and the only thing they stretch is their hamstring group after some light arm circles. It is bewildering to me sometimes. I think there is a real epidemic in progress and is growing at an exponential rate. However, the epidemic is NOT hamstring tightness...The real epidemic is a plethora of people, old and young alike, that can not touch their toes. Touching your toes without bending your knees is...or should be a fundamental human movement pattern. 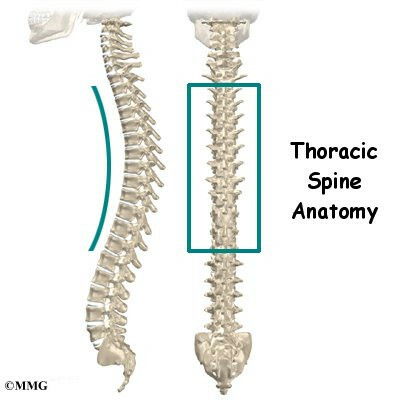 I know many of us fear lumbar motion and especially extreme lumbar flexion but spinal (that includes lumbar) motion is completely normal and necessary. We aren't talking about lumbar flexion under load here. On top of the population of people that can not touch their toes...there are plenty of people that can do so. However, I didn't say everyone that could do this was able to do it satisfactorily. 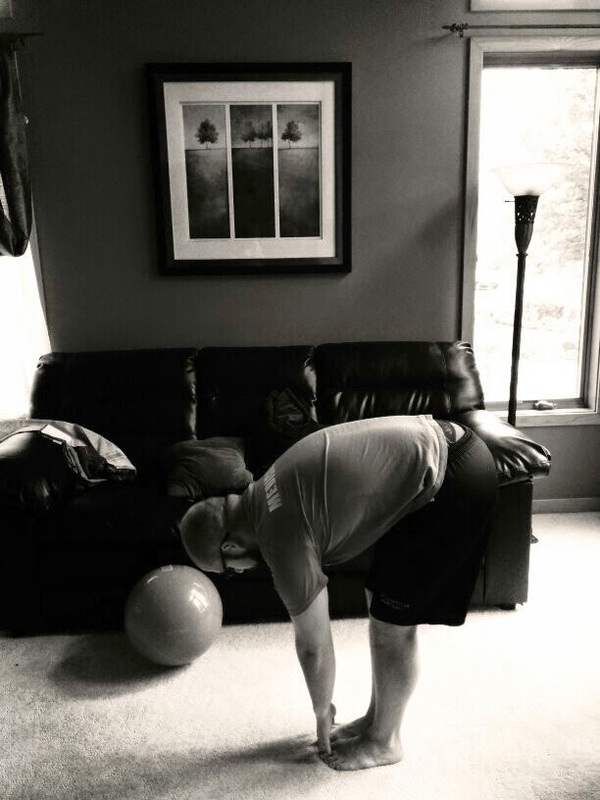 Using the Selective Functional Movement Assessment (SFMA) standards a person should be able to touch their toes without bending the knees, should have a uniform spinal curve throughout all of the spinal segments, have a sacral angle of > 70 degrees, and should utilize a posterior weight shift or hip hinge to achieve this goal. An inability to achieve this pattern satisfactorily represents an inability for athletic movements such as the deadlift, and an inability to reflexively stabilize the spine. So what does this have to do with hamstrings? Most people that can not touch their toes often jump the gun and assume that it is due to posterior chain tightness or tight hamstrings. In reality, this is rarely the case. In fact, I would recommend you always get a second opinion or never evaluate yourself. I actually made this mistake myself and it was evident in a previous post where I did an SFMA video of my own multi-segmental flexion (toe touch pattern). 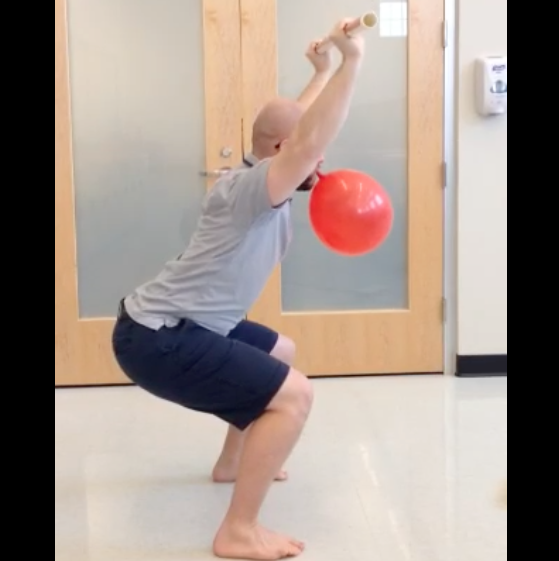 I was wrong in my assessment and I actually had a core stability/motor control dysfunction. This wasn't evident to me because during a certain breakout assessment I falsely associated the sensation of neural tension to equal soft tissue tension. I didn't realize my mistake until I was auditing the SFMA certification course for the second time. 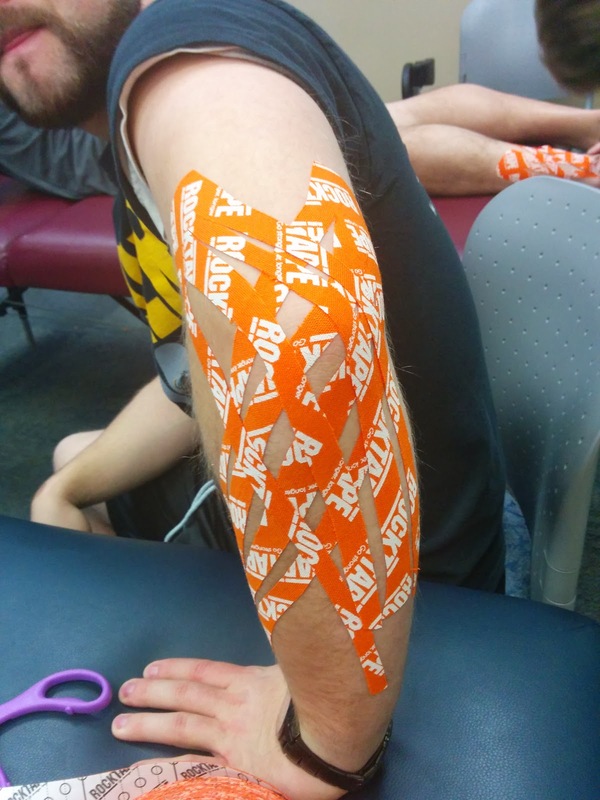 I volunteered myself to be the case for teaching the multi-segmental flexion breakouts. This SFMA course was being taught by Behnad Honarbakhsh, MPT, BHK, CSCS, CAFCI, CGIMS, DO (c) (whom I thought was brilliant) and low and behold in front of the entire class he humbled me and showed me my true dysfunction. Nobody knew that I was humbled because I didn't discuss my prior self-assessment. However, I probably hadn't touched my toes since I was a toddler before elementary school. Michele Desser and Dr. Todd Arnold quickly took me out into the hallway and had me perfom rolling and core stability exercises for about 5 or so minutes. They then brought me back into the seminar and showcased how I went from being about 14 inches from touching my toes down to about 2 seconds. Later that night, back in the hotel room I practiced some more on my own and was able to touch my toes. So lets find out where I went wrong really quick to showcase how you can check to see if your hamstrings are tight or not. Step 1. Check to see if toes can be touched. If not, continue on. Why can't I? We don't know. Don't blame the hamstrings yet. Step 2. Remove Parts and Compare Left to Right. Here I unweight one of my legs and check for change. Nothing. Continue on. Still not the hamstrings. Step 3. Long Sitting Test - Unload body parts. Step 4. Unload More, Check Left to Right, and begin Active versus. Passive Comparison. In this test you are looking for & 70 degrees of hip flexion with both knees remaining straight, feet dorsiflexed, and hips neutral. An inability here STILL is not due to tight hamstrings. Step 5. Checking Passive Motion compared with Active Motion from the previous step. An inability here to increase motion here beyond what you achieved actively = Ding. Ding. Ding. Winner Winner, Chicken Dinner. You DO have tight hamstrings! There are a few more steps you may take after this finding to pinpoint where the mobility dysfunction is located. 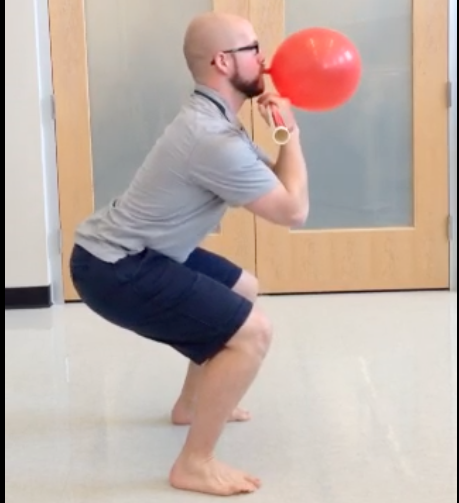 However, If you increase more than 10 degrees compared to active but still do not reach normal hip flexion (now 80 degrees instead of 70) then you have a mobility and stability/motor control dysfunction present! If you find that you go from ~40 degrees to normal like I do below then you sir...DO NOT HAVE TIGHT HAMSTRINGS. 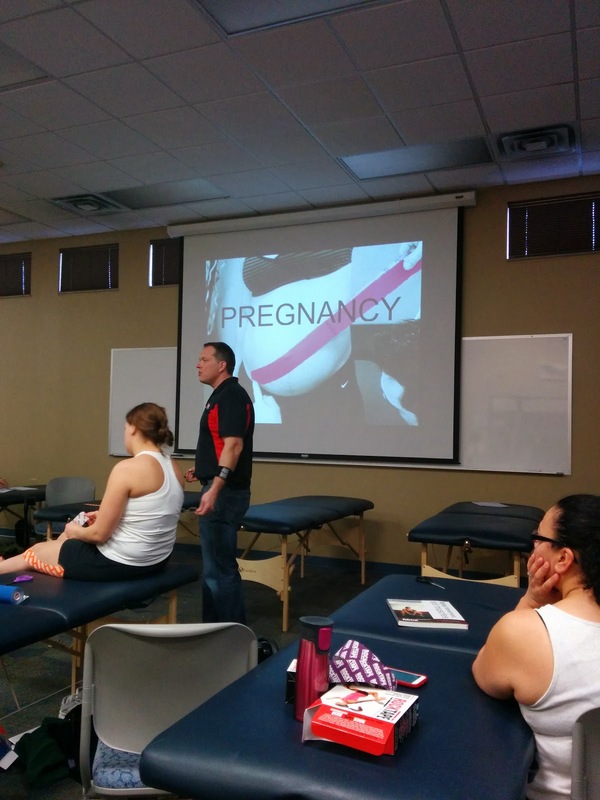 You have a stability/motor control dysfunction. Continue on to step 6. Step 6. Now you must find out how poor your motor control deficit is. To pinpoint this you regress yourself to the most basic form of stability and motor control...rolling around on the ground. If you can not roll from supine to prone with each of your different limbs then you have a primitive motor control dysfunction. Restoring the ability to roll may fix your inability to touch your toes. However, at this point we are encroaching on the area of the 4x4 matrix of the SFMA. If you aren't in pain currently then I would recommend you finding an FMS certified professional and get screened and start with working on your most dysfunctional issues there first. Look at me now...Just a tiny bend in the knees. Working on it. No hamstring stretching needed. In conclusion, don't evaluate yourself and if you do...Get it rechecked by another set of eyes. The plumbers pipes always leak. Don't be that plumber. Secondly, practice your systems of evaluation or assessment if you have one so you can own it. If you don't use a system how can you be sure you aren't throwing spaghetti against the fridge and hoping that something sticks? What are your metrics for improvement? It has been said a million times and I'll repeat it. You do not need to use these metrics but you should be using something to set a baseline, intervene, and then compare to baseline to check for change.